Stacy Vetter never thought she would leave her job as a lab tech to pursue making gifts for cancer patients or pick up a hobby of dragon boat racing. She didn’t expect to be diagnosed with breast cancer, either. In 2016, Vetter was diagnosed with a non-invasive, early stage of ductal breast cancer that was removed with a biopsy. She considers herself lucky and knows that her story is different from many others. Vetter worked as a dermatology medical lab technician for 12 years studying cancerous skin tissue, and had an extensive background in what doctors look for in problematic samples. “Of course, I wasn’t happy about the diagnosis, but I also had enough of a background that I felt pretty secure that we caught it early enough. As long as everything kept coming up on the lucky end, everything was going to be okay,” Vetter said. After the cancerous tissues were removed, and she received 16 days of radiation, Vetter went into remission, but not until after becoming a board member of Montana’s Silver Lining Foundation and realizing her true calling of starting a business. The Montana Silver Lining Foundation is a nonprofit focused on supporting women through their cancer journey by training them to race with dragon boats. The Silver Lining dragon boat racing team was created to keep members healthy and foster a sense of sisterhood. The sport, which involves a boat of 20 participants paddling 500 meters in a limited amount of time, has been researched to help cancer patients and survivors live healthier lives. Exercise for the upper body can help reduce the risk of lymphedema, or the swelling of the arms or legs due to the damage or removal of the lymph nodes. 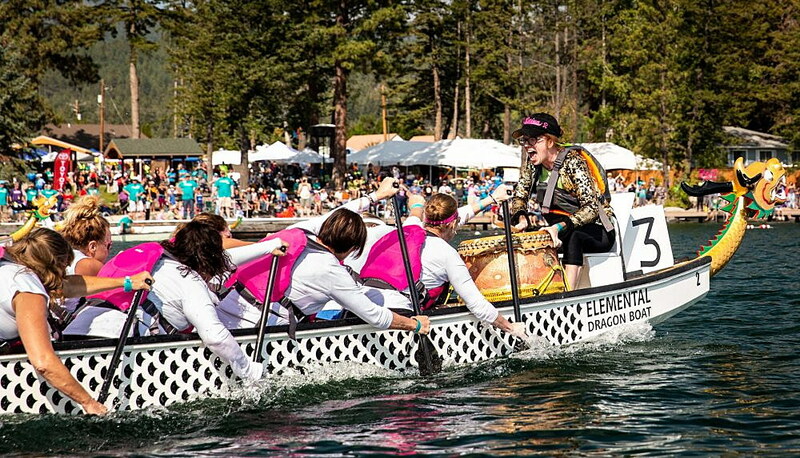 The team is the first breast cancer survivor dragon boat racing team in Montana, and has participated in two competitions since its inception a year ago. “There’s just something about, in general, people being on a team, working so hard together to reach a common goal that’s so powerful,” Vetter said. Having support is a major part of a person’s journey, she said, and the Race for the Cure is a great opportunity to rally. The Silver Lining group will be attending the race. The Susan G. Komen Race for the Cure is taking place in Missoula for the first time this Saturday, with about 376 participants and 35 teams already signed up. 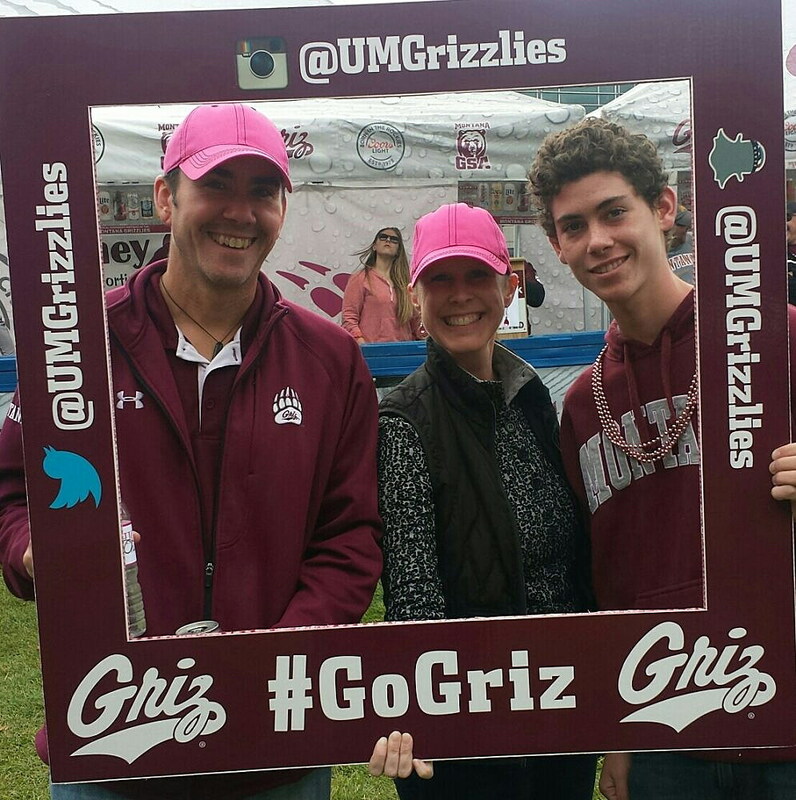 The foundation began in 1982 in honor of Susan G. Komen, who died of breast cancer at the age of 36. Across the nation, foundation affiliates hold annual races to raise funds for research and treatments. The foundation hopes to reduce the number of breast cancer deaths by 50 percent in the U.S. by 2026. Clinics like St. Vincent in Billings can use money to fund a mobile mammogram screening service to nearby reservations that may not have breast screening services. About 25 percent of the revenue raised from the race goes toward breast cancer research, with about 75 percent invested in Montana and Idaho clinics, used to provide underserved patients with low- or no-cost screening, diagnosis and treatment. Since 1995, about $7.4 million went to hospitals and foundations in Idaho and Montana, while $2.6 million went to research. Last year, about $95,000 raised by the races went toward grants. This year, the goal is to raise $50,000, with about $7,412 currently raised from donations. Registration fees and money from sponsorships are later attributed to the total. “We have to raise money to spend money. We do not get any federal money, we do not get any money from our headquarters to operate, so we are solely based on the money that we raise by doing events in Idaho and Montana, 100 percent,” Weak said. Yearly screenings are vital to detecting potential cancers early, Vetter said, and encouraged her mother and aunt to get screened as well. Both found out they had early stages of breast cancer and survived. According to Weak, one in eight women will be diagnosed with breast cancer, and, while genetics might play a role in the likelihood of someone developing cancer, that’s not always the case. About 87 percent of women who have breast cancer don’t have a family history of the disease, she said. Vetter said that cancer patients have a lot of decisions to make while under treatment, and it’s not always easy to know which path is the right one. “I think there are so many choices with breast cancer that it can be overwhelming, and I think for the most part, people do have a little time to sit and think about it. But whatever decision you make, you have to make sure you’re going to be okay with that. Because either way, there’ll be risks that you’re taking,” she said. Having a support group, like the Silver Lining Foundation, can help survivors and cancer patients with resources and with staying healthy. Finding inspiration through the foundation drove Vetter to create gifts for survivors and patients, including T-shirts, bags, decals, jewelry and cards. She hopes to launch her website, Time to Rally, by the end of the year. Along with products that show support through a variety of colored ribbons, one of her product lines bears the best advice she ever got while in treatment, a saying that should serve as a reminder to those participating in the race.